A lot has been written about the upcoming Huawei Mate 9 but the company may have something up its sleeve (literally). 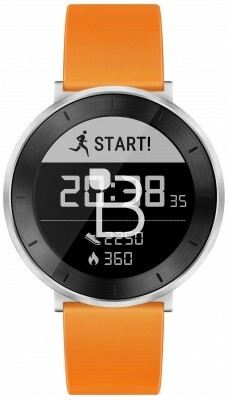 An e-paper based smartwatch has leaked with a circular display with marginally smaller bezels than the Pebble Time Round (which was not upgraded in the last round of Pebbles). Looking back at an teaser image from early last month, this seems to be the Huawei Honor S1 smartwatch (note the notches on the bezel). For those unfamiliar, e-paper is a type of low-power display that has amazing sunlight legibility and can run for days on the tiny batteries found in smartwatches. It should not be confused with e-ink like Kindle e-readers), which uses less power but has very slow refresh rate and still doesn’t do color. Neither does the Huawei Fit, judging by these images. 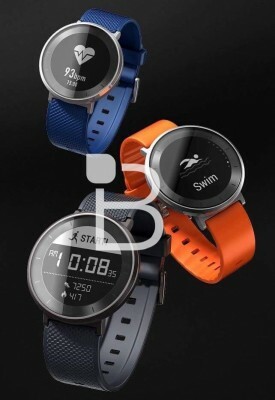 The promo images provide answers to key questions – yes, there will be a heart rate sensor and yes, the watch will be waterproof. In fact, it can track your laps around the pool. No hardware buttons are visible, pointing to touchscreen only operation. It’s not clear what OS this is running, though – it may be neither Android Wear nor Tizen but instead a custom solution.